AS A youngster, Bradford City chairman Edin Rahic was a promising footballer. He was a left winger and considered good enough to be selected for the Yugoslavia Under-16s squad. Rahic later played for a succession of clubs in his native Germany, ending up at VfL Sindelfingen in the third tier as a 19-year-old. Then, however, injury struck as the first of two ruptured Achilles initially stalled and then finished a budding career. Ten months on from diving headlong into the often weird and sometimes wonderful world of football ownership alongside countryman Stefan Rupp, Rahic is enjoying life. City sit fifth in the League One table and look firmly on course to qualify for the play-offs. More than 14,000 season tickets have also already been sold for the 2017-18 campaign after the club’s German owners opted to freeze prices at £149 for adults. 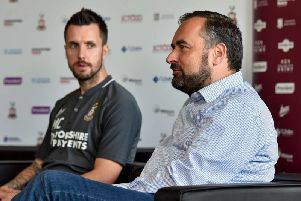 Affordable tickets at Valley Parade began with a previous regime, Julian Rhodes bucking the then trend of ever rising prices a decade ago in the wake of Bradford’s relegation to League Two. But the policy very much chimed with the thinking of Rahic and Rupp, and was a major reason why the pair settled on the Bantams when casting around for a suitable English club to buy. “Once we had decided on England, we looked at all the 72 (Football League) clubs and investigated several points,” says Rahic. “First, we looked at a map and London did not seem that interesting. “There are so many clubs in the city that when you are a west London club, it can be difficult to get talent from east London. So, we decided against London. There were some very interesting clubs in the north. But Bradford City stood out, as the club had done everything right to get the city involved. Bradford City chairman, Edin Rahic. “Looking at the rest of the map, it was clear the most interesting clubs were in a belt from Blackpool and Liverpool through to Hull. Basically, the north. “There were some very interesting clubs in the north. But Bradford City stood out, as the club had done everything right to get the city involved. “It was also a working-class club. Stefan and I are working-class so that appealed as well. And then there was the atmosphere. 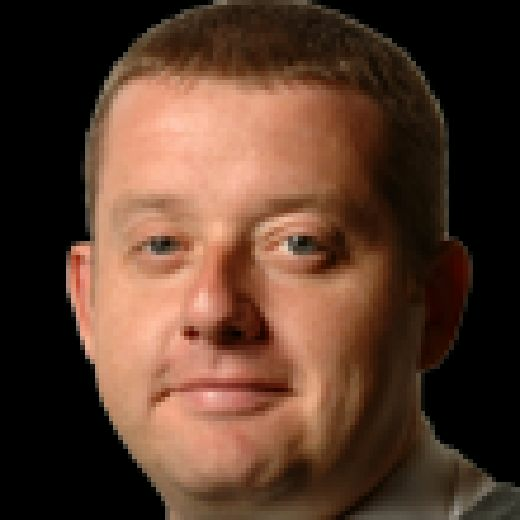 Talks with Rhodes and co-owner Mark Lawn took the best part of a year and were conducted to the backdrop of a promotion chase that fell at the penultimate hurdle of the play-off semi-finals. As foundations go, such a performance suggested plenty to build on for the new owners following the completion of their buyout just a few days after that aggregate defeat to Millwall. A little over three weeks later, though, and Phil Parkinson was on his way to Bolton Wanderers along with all his coaching staff. It was a huge test for owners new to the country. Amid all the summer upheaval at Valley Parade, Rahic and his family were in the process of relocating to Yorkshire. It is a move his wife and two young sons have since embraced warmly. For Rahic, the move to the Broad Acres stirred memories of a night this lifelong fan of Stuttgart would prefer to forget. “I remember the Champions League ties against Leeds United,” he says of the two-legged first round tie in 1992 that eventually went to a replay after the German club’s manager, Christoph Daum, blundered by bringing an ineligible player off the bench in the Elland Road return. “I was at the Leeds game,” he says. “It was an unbelievable game at home. Stuttgart won 3-0 but it should have been 5-0 or even 6-0. “But the away game was terrible. We lost (4-1) and went through on away goals. But the manager had made a mistake and there had to be a replay in Barcelona in front of 3,000 fans. Rahic’s first brush with Yorkshire football may not have been a positive one but, along with Huddersfield Town head coach David Wagner, he is part of a growing Germanic influence being felt across the West Riding right now. The two men have met socially and Rahic is a big admirer of his countryman’s work in transforming the fortunes of the Terriers. “There are different blueprints in football and Huddersfield, of course, is a good one,” he adds. “Like ourselves, they will never have the biggest budget in the league but they have a very strong bond and team spirit. The recruitment has also been good. “Barnsley are another top example in Yorkshire. Their transfer logic is not to buy players over 24. Red Bull Leipzig are the best example of this approach in Europe, Southampton is another. They have the top Academy in the country. A solid and sustainable future is what Rahic plans to build at Valley Parade. Eventually, this will include buying back a stadium that was sold in 2003 to stave off a financial meltdown. For now, though, City have security through a 25-year lease and Rahic admits there are more pressing priorities. “The most important thing is what league you play in,” adds the German businessman. “I can pimp up my stadium or pimp up my training ground but what matters is where Bradford City is in the league. “We have to do it step by step. Buying the stadium back is one thing for the future but not now. If you reach a certain level in the Championship, then it can be thought about. The Premier League, definitely.